The way your business space looks says a lot about your company. A wine bar in a modern setting, for example, tells a completely different story and creates a completely different feel than one in a rustic setting. The way your home is decorated probably speaks to your personal preferences and lifestyle. In the same way, your business’s appearance should reflect your company’s core values and products or services. Maybe you acquired a business and need to make the space “your own.” Perhaps you launched a new product or service and want your space to reflect the shift in your business concept. Or your space might just be old and in serious need of a facelift. Whatever the reason, people make a first impression within seven seconds. That gives you a very short window of time to draw customers into your shop or office, explain (and, hopefully, sell) your products or services to them, and encourage them to come back. Fortunately, you don’t need to break the bank to renovate your business, even if you are undertaking an extensive renovation. Business renovation loans can help. There are multiple options for business owners, with different price points and terms. Find out the best renovation loans for business and how they compare. Best For: Extensive renovation and modernization of owner-occupied commercial property. If you’ve ever obtained a business loan in the past, then you’ve probably heard of SBA loans. SBA loans are government-backed business loans that offer low interest rates and long repayment terms. Although the 7(a) loan program—which we’ll get to next—is the most popular SBA program, SBA 504 loans are perfect for renovations. 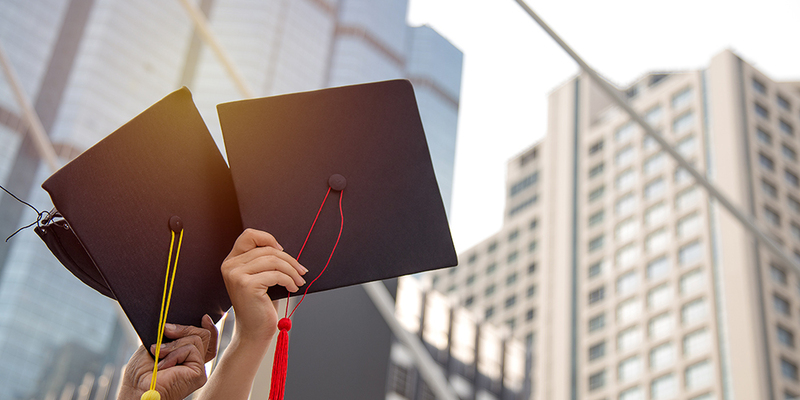 These loans specifically cover the construction of new facilities and the modernization, conversion, and improvement of existing facilities. This is a great option for business owners who are, say, making a gut renovation or face unique challenges, like renovating a historic property. Are You Eligible for an SBA 504 Loan? Must be a for-profit business that doesn’t exceed than $15 million in net worth or $5 million of business income. Must be able to make a down payment of at least 10% of the project’s cost. Property that you’re renovating must be at least 51% owner-occupied. Must meet the SBA’s job creation requirements or other public policy goals, such as the use of sustainable design and reduction of energy use. SBA 504 loans are primarily geared towards existing companies which are trying to expand and modernize their facilities. Startups are eligible, but the lender will require a 20% down payment from a new business. There are actually two different lenders that are involved in the SBA 504 loan process. The first is a bank, such as Chase, Bank of America, or any other direct lender. The bank provides 50% of the loan. The second is a SBA-approved Certified Development Company, usually a non-profit lender, that provides small business funding. The CDC provides 40% of the loan. The remaining 10% is a down payment from you, the borrower. The maximum amount of money that the CDC will loan is $5.5 million. That means the total SBA 504 loan amount generally caps out at around $14 million. It’s certainly possible to get much smaller loans, but most banks and lenders prefer working with larger projects for SBA 504 loans. In many cases, you can also include soft costs, such as delivery or installation of equipment, in your 504 loan. SBA 504 loans offer very beneficial terms for small business owners. Interest rates on SBA 504 loans are fixed and are tied to the rates on US treasury notes. They are currently in the low single digits. And the repayment period for the loan goes up to 25 years. All of this means low, predictable monthly payments throughout the duration of the loan. There are also fees, which come to approximately 3% of the total loan amount. As with any other type of loan, your cost and terms will vary based on your creditworthiness and your business’s age and financials. SBA 504 loans are perfect for large-scale, gut renovations. 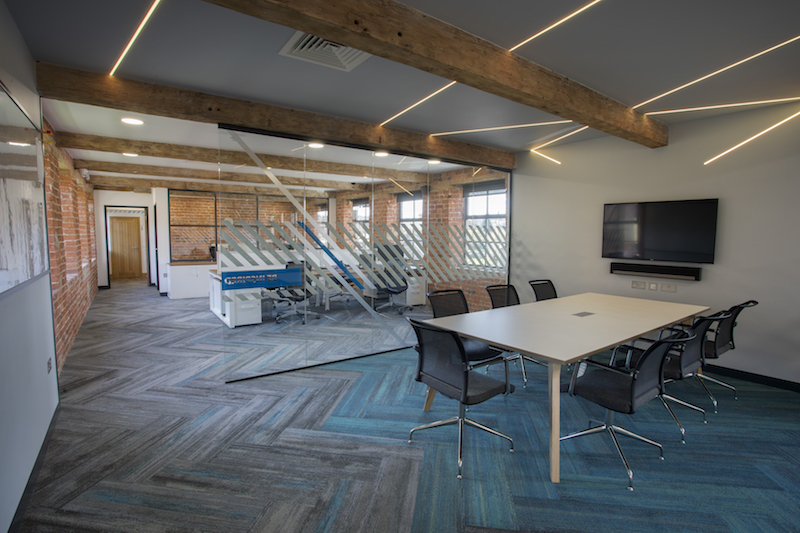 For example, Ryan Jones, a marketing associate at Advanced Commercial Interiors, says that his company recently refurbished their 17th century office space. Before we owned the property, it was derelict and on the verge of collapse! We obtained planning permission to turn it into our new company offices. The roof contained asbestos and needed to be completely re-done. We also included new glass partitions, flooring, decoration, and a complete electrical installation! Finally, we curated furniture to go with the look and feel of the space. 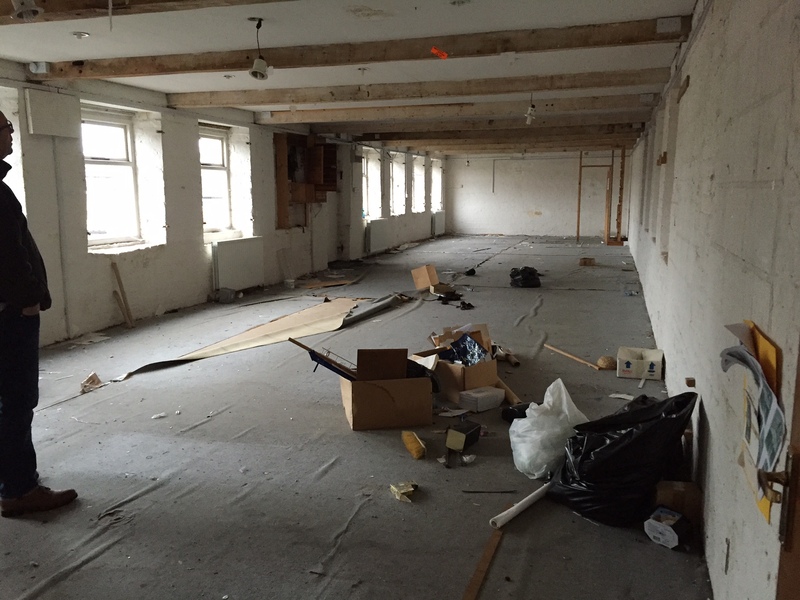 We are very proud of the space, which will give us the opportunity to grow for years to come. 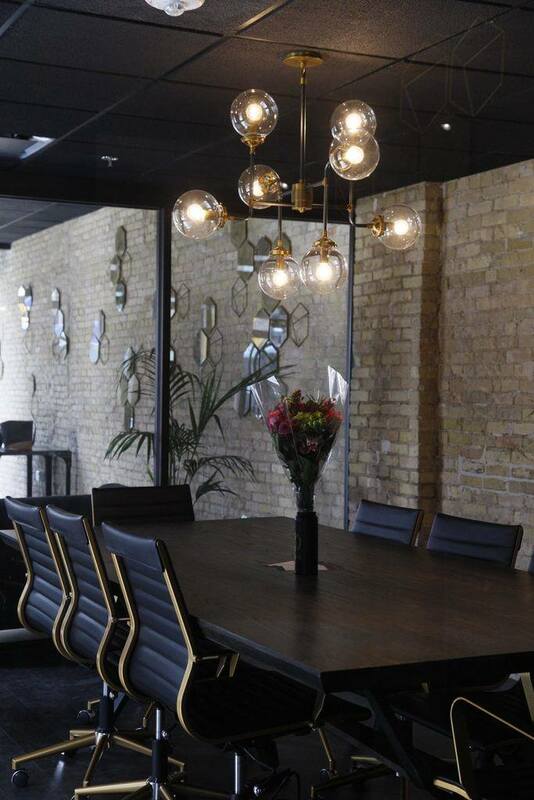 We are an office refurbishment company by trade, so it is amazing that we get to showcase our work with our very own offices, which are now also used as a working showroom. Although Jones said his company reinvested profits to complete the renovation, this is the kind of big, tear-down project that would be well suited for an SBA loan. Best For: Businesses that want to renovate and borrow money for other purposes, such as hiring or product development. SBA 7(a) loans are another type of SBA loan. Unlike 504 loans, which have very specific uses, SBA 7(a) loans are a general purpose loan that you can use for renovation plus a variety of other purposes. 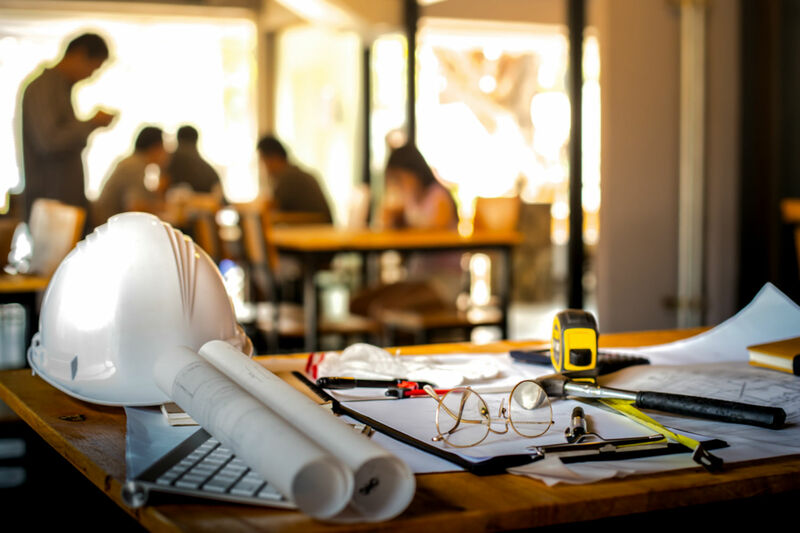 So, if renovation is on the radar for your business but you also need working capital for other reasons—like hiring, marketing, or product development—then a 7(a) loan could be the perfect all-purpose solution. Like 504 loans, 7(a) loans offer the benefits of low interest rates and long terms. The application process is also a little easier for 7(a) loans. Are You Eligible for an SBA 7(a) Loan? Meet the SBA’s definition of small business. Have good personal credit score, ideally above 650. Be able to make a down payment of at least 10% of the project’s cost. Property you’re renovating must be at least 51% owner-occupied. Securing an SBA 7(a) loan can be challenging. Although startups can get these loans, most of these loans go to established businesses. And the newer your company is, the better credit you should have to qualify. SBA 7(a) loans are available in amounts up to $5 million, but the SBA offers an expedited application process for loans under $350,000. The biggest advantage of an SBA 7(a) loan is the wide range of allowable loan uses. One of the few restrictions is that you can’t use more than 5% of funds on “community improvements” like sidewalks. The bank that is working with you on your SBA 7(a) loan will decide the final terms of your loan, but the SBA sets caps on interest rates. Lenders can’t exceed Prime + 2.25% to Prime + 4.75%, depending on the loan size and term. The smaller the loan and the longer the term, the higher the rate. The Prime Rate is a benchmark rate for interest rates. You should also account for fees when determining your total loan cost. 7(a) loans above $150,000 have a 2% to 3.75% guarantee fee. Repayment terms on SBA 7(a) loans depend on what you’re using the loan for. For equipment and general renovation, the term is usually 10 years. But if you’re buying a building, then the term is 25 years. Best For: Business owners who want to make small upgrades and renovations over an extended period of time. 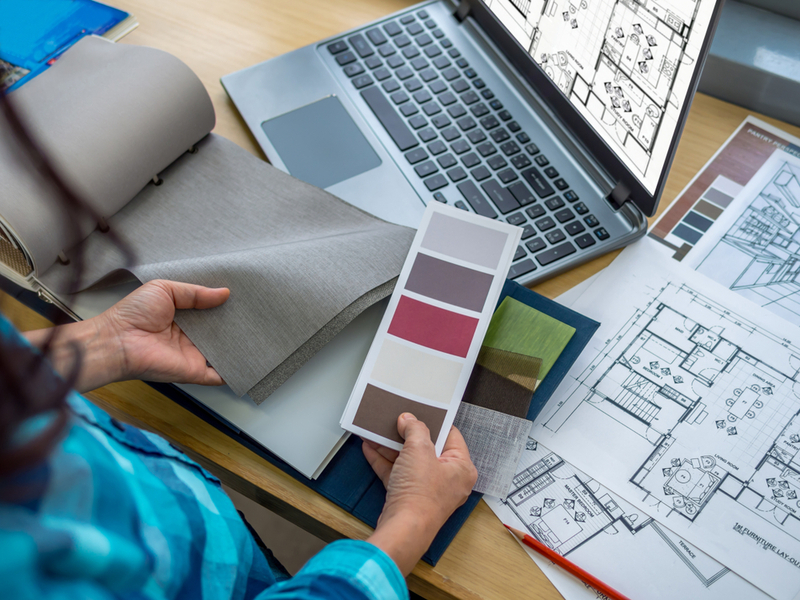 Although SBA loans are ideal for large-scale renovations, you might want to undertake a smaller project or do your renovations in smaller chunks over a period of time. In those cases, a business line of credit can be incredibly helpful. A business line of credit gives you access to a lump sum of money that you can draw on as needed to meet your renovation goals and timeline. You only pay interest on the money you use, and if the line of credit is revolving—most are—your credit line gets replenished every time you pay down your balance. A business line of credit is slightly harder to qualify for than a loan, but once you qualify, the money is there in your account for you to use whenever you need. Are You Eligible for a Business Line of Credit? A variety of lenders offer business lines of credit, including banks and online alternative lenders, and the qualification requirements will vary widely based on which lender you opt for. Personal credit score above 550. At least 6 months in business. At least $4,000 of monthly income. Business lines of credit can be unsecured and secured. Secured credit lines usually have higher credit limits and lower interest rates. If the line is secured, the lender will put a lien on your business assets or ask for collateral to back the credit line. Business lines of credit start as little as $2,000 and go up as high as $1 million or more. The amount depends on your business’s needs. We suggest preparing a renovation plan and timeline to figure how much money you need (see our paperwork checklist below). The amount of credit that you qualify for will also depend on your creditworthiness and your business’s financials. In most cases, business line of credit lenders grant you a lot of flexibility in terms of how you use the money. A business line of credit affords you flexibility to use the money however you want, when you want. The business loan interest rates on business lines of credit vary widely depending on the lender. The rate can be as low as 7% for a bank line of credit and as high as 40% at alternative lenders. The biggest advantage of using a business line of credit for a business renovation—or anything, really—s that you only have to pay interest on the money that you draw from the line. That said, interest will accumulate until you pay back what you’ve borrowed in full, so it’s best to make the payment as soon as possible. Some lenders will require regular minimum payments of your balance (like a credit card). Banks will review your business’s finances every few years to see if you’re eligible to have the line of credit renewed. Best For: Purchasing, leasing, and updating fixtures, furniture, and office equipment like desks and shelves. Sometimes, you don’t need to do a full-scale renovation to make your commercial space look fabulous and work efficiently. New equipment or fixtures might be all that you need. In that case, an equipment loan can be the right business renovation loan to finance your upgrade. Many people think that equipment just includes things like manufacturing machinery and tractors. 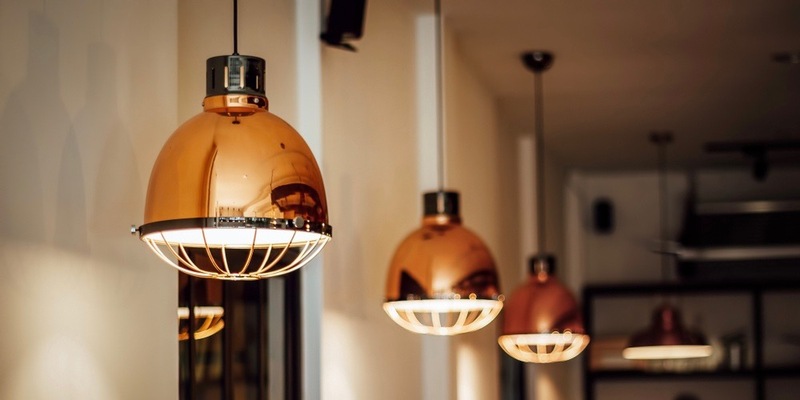 But equipment also includes lighting fixtures, office desks, coffee machines, furniture, and delivery vehicles (or check out business auto loans if you need vehicles)—all of which might be a part of your renovation plan. Are You Eligible for Equipment Financing? Equipment financing is relatively easy to qualify for because the equipment acts as security for the loan. If you are unable to pay back the loan for some reason, the lender can repossess and sell the equipment. Therefore, qualifying for an equipment is relatively simple. The only things that could potentially hold you back are an open bankruptcy or unresolved tax lien on your record. Equipment lenders can provide up to 100% financing for your equipment, fixtures, or vehicles. Usually, the best approach is to narrow down which equipment you need, find out how much that equipment costs from a vendor of your choice, and then apply for the financing. In this case, you’re using the money to buy or lease equipment, fixtures, or vehicles that you need for your business. Most equipment financing companies offers interest rates in the neighborhood of 8% to 30%, depending on your credit history and your business’s finances. The repayment term could be three years, five years, or even longer depending on the expected life of the equipment. Your cost and terms will vary depending on whether you opt for an equipment loan or an equipment lease. With a loan, you make installment payments and become the owner of the equipment at the end. A true lease is more like a short-term rental and works well for equipment that gets quickly out of date. A lease also offers lower monthly payments, but you don’t own the equipment at the end. Best For: Service businesses completing a renovation that are willing to loan their time and skills. Barter or trade is a creative way to pay for business renovation without shelling out cash. This isn’t a possibility for every business (which is why we listed this as a “bonus” option), but if you offer services, barter/trade could be a good way to complete your renovation on a budget. Basically, this involves providing services as payment-in-kind for design and renovation work. MUNGO Creative Group is an independent marketing and creative agency based in New York. When MUNGO launched a new office in Milwaukee, they partnered with a local interiors/exteriors company to design the office. When you apply for a renovation loan for business, the lender might ask for documentation of your renovation plans. Especially if you apply for an SBA loan or conventional bank loan, you can expect the paperwork to be pretty exhaustive. This list doesn’t include standard business loan requirements, such as business financial statements. Plus, the lender could ask for further documentation, especially if you have a complicated project or are applying for a large business loan. Business renovation loans can help you achieve your dream look for your commercial space. SBA 504 loans are ideal for large-scale construction and renovation. SBA 7(a) loans are a great fit if you want to renovate and take care of other business needs. Business lines of credit give you access to a predetermined amount of money that you can draw on needed. This is perfect for smaller-scale renovations. Equipment loans are perfect for buying and leasing fixtures, machinery, office equipment, and vehicles. Barter/trade can be a unique way for service businesses to pay for renovation. 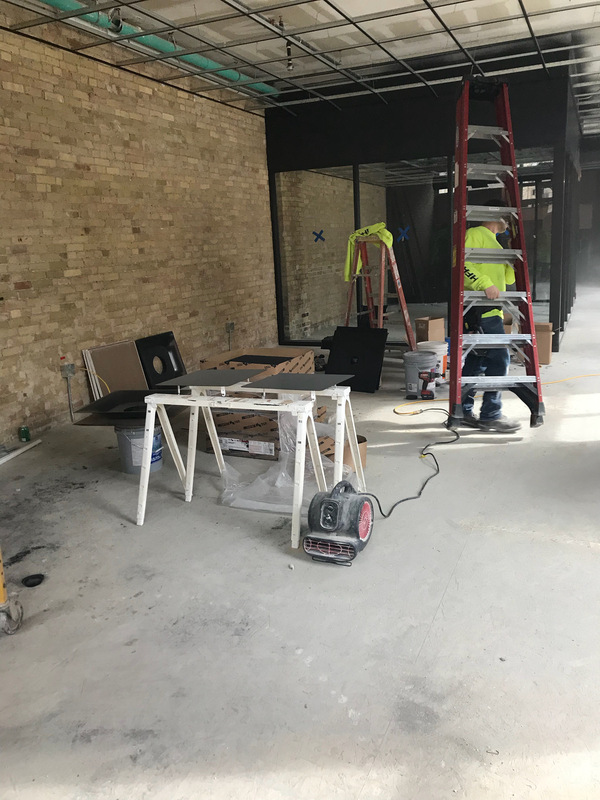 Renovating a commercial space requires a lot of planning and preparation, but take some time to celebrate once the project is over. Now your business looks the part and will help you attract and retain customers for years to come.